The Google Ads Display Network is the largest and most visited website group on the internet. In fact, the Google Display Network has the ability to reach 90% of Internet users worldwide and includes more than 2 million publisher sites. Google AdWords (now known as Google Ads) has made it easier than ever to create display advertisements. Not only can you reach a massive audience with Google Display ads but it’s easy to set-up. We’re going to teach you how to create the best Google Display Ads Campaigns. If you are new to the digital game, display advertising is “ads on a website.” Visit a web page like, let's say CNN.com; see those ads on the side? Yup, those are display ads. It can be displayed in different ad formats, like text ads, banner ads, video ads, or audio ads. You can get into much more details than that but this is how we like to explain it for anyone entering the display game. It is important for your business to understand the difference between those 2 categories, as this will set the proper foundation for your ad campaigns. A retargeting advertisement will follow your visitors around after they leave your website. Let’s say you looked at a pair of jeans on Nordstrom and you magically see an advertisement for the same pair of jeans on People.com, this is display retargeting and there is a strong change the retargeting ad is getting served from a Google Display Network campaign. A seasoned digital marketer or developer can implement a retargeting pixel rather quickly. If you are a business owner or marketer who wants to implement a pixel without any help, you can read this guide from Google. According to Spiral Analytics, the click-through rate (CTR) of a retargeted ad is 10 times higher than the CTR of a typical display ad. Additionally, website visitors who are retargeted with display ads are more likely to convert by 70%. The aforementioned statistics prove the validity and effectiveness of retargeting. Here’s an illustration that visually explains the retargeting process. General display advertising is when you are trying to build awareness for your brand to reach new potential customers. You can target by audience, demographic, topic, or placement within the Google Display Network. Think of this form of display advertising similar to a television commercial. You are trying to get in front of the right person and raise awareness. Google just lets you get a lot more advanced in your targeting options than a local TV station. For example, if you are an RV dealership, there is a topic selection in Google Adwords (Google Ads) for “Campers and RV’s” which means you can serve your display ads on extremely relevant web pages for the product you are pushing. You can also exclude people who are 18-24 and 24-30 if you think the typical RV owner is going to be above 30-years old. Below is a Google Display Ads example from one of our clients. This was created utilizing Google’s responsive display ad builder. These display ad examples make it easy for someone to visually see the type of ad they’ll be serving. You should be doing A vs. B testing to determine what ads perform the best. When you have definitive data, you can pause the winners and pause the losers. Google took a book out of Facebook’s playbook and made it easy and attractive to create display ads. No longer do you need to work with a graphic designer to ensure your display ads are compelling. With Google’s responsive display ads, anyone can create these powerful Google ads with images and text up in minutes. 3- What is the Intent of the Advertisement? The messaging associated with a retargeting advertisement should be more geared towards luring someone back who has already been to your site. The messaging of a general display advertisement needs to entice them to your site for the first time. Different messaging is needed for each sort of targeting method. There are a lot of people who will ignore display ads since they are so accustomed to seeing them. Make sure your imagery stands out and isn’t generic and boring. This can be the differentiator between getting someone to click to your site or your ad completely being ignored. You’ll want to track conversions to measure the advertising spend versus the revenue generated from display ads. There is a cool metric called, “view through conversions.” A view through conversion is essentially triggered whenever a user is on the Display Network and sees your ad but does not click on it. You can track how many conversions have come when someone has clicked directly on your advertisement versus how many conversions happened when someone just saw your ads. Obviously, if you are just generating a lot of impressions and clicks and people are only staying on your site for 3 seconds, you have an issue. If you have a website and visitors are coming to your site, you should be on Google’s Display Network. It is a great way to remind people of your product or service if they already visited your site or entice them to come check you out for the first time. In the past, a lot of people would look up, “how to create an image ad for Google Display.” Nowadays, it can be done in minutes within the responsive display builder. The tips above should help you succeed with your Google Display campaigns. The final step is to create a report to show your client or boss the results of this great Google Display campaign you launched! If you’re looking for an easy way to do so, you’re in luck! DashThis’ automated Google Ads reporting tool will help you create reports in seconds, and you can try it for free. 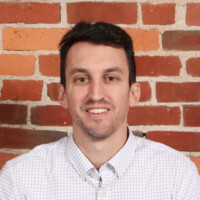 Jason Parks is the founder of Cleveland Marketing King, a digital marketing agency in the heart of Cleveland focusing on website design, SEO, PPC and Social Media Marketing. Jason is also a VIP contributor for Entreprneur.com, where he shares his digital marketing insight to a large following. Jason has helped hundreds of brands increase revenue through digital marketing and fluid website design. Create your own automated Google Display ads reports!